Did you know Donegal Airport was voted one of the world’s most scenic airport landings in an annual poll of global travellers and travel industry experts conducted by PrivateFly? This is high praise indeed for a small airport etched into the coastline of Ireland’s most northerly county. Recently, I received a complimentary copy of “Take Off,” the official magazine of Donegal Airport, sharing this wonderful news. 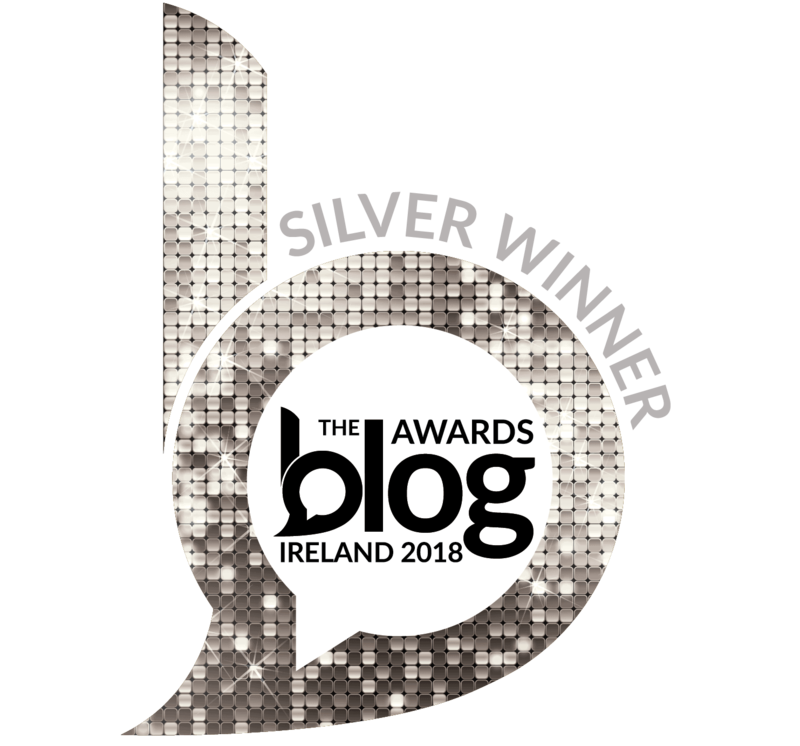 Since my husband is a Donegal man and my family is Donegal proud, we were all delighted to hear this beautiful airport received world class recognition. 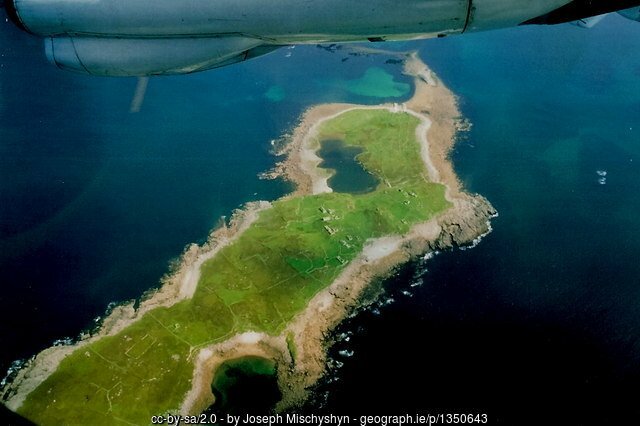 View of the island of Inishsirrer as seen from an airplane approaching Donegal Airport. 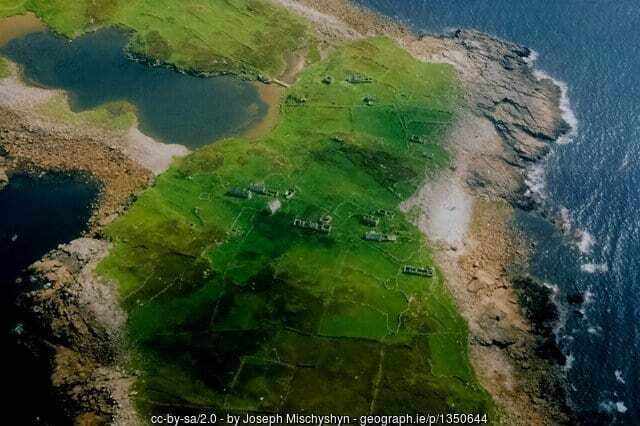 And so, I thought I would share some photos with you today, to help you appreciate the magnificent scenery travel experts are raving about when they say Carrickfin Airport is nestled in one of the most spectacular settings in the world. 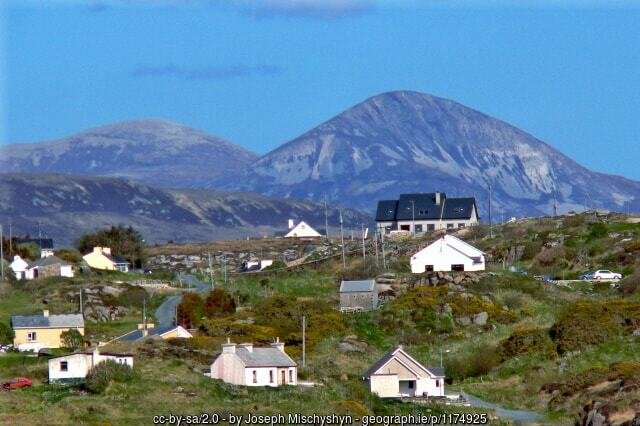 Annagary, County Donegal, near Carrickfin Airport looking towards Mount Errigal. 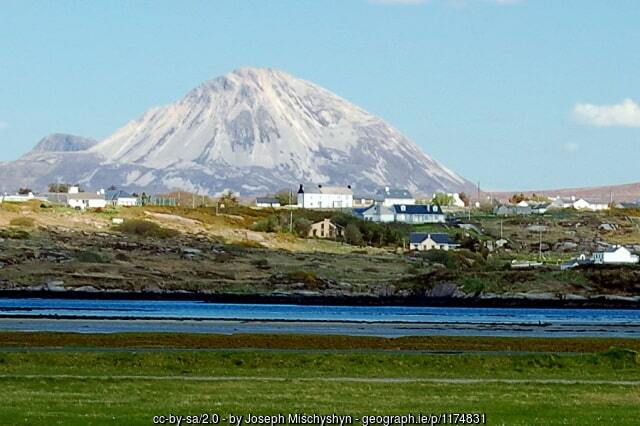 The landscape is dominated by Mount Errigal, Donegal’s majestic, tallest peak and its shale covered slopes. 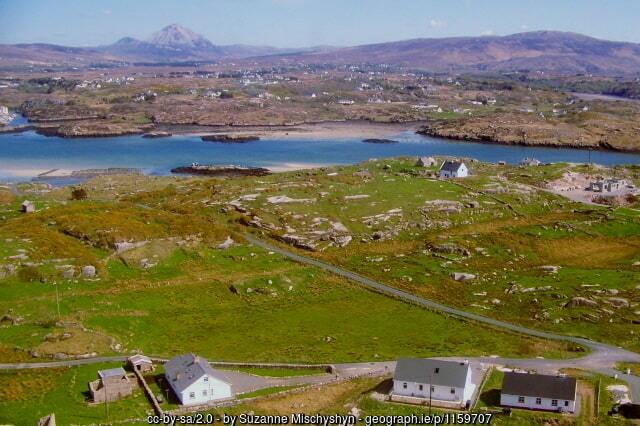 Surrounded by pure natural beauty, this airport is a wonderful access point for anyone planning a trip to Donegal. 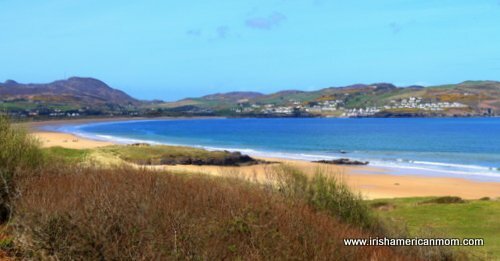 Donegal offers so much to tourists to the Emerald Isle, from ancient ringforts, to hillwalking, to beautiful beaches like those at Ards Friary, Knockalla, and the Inishowen Peninsula. 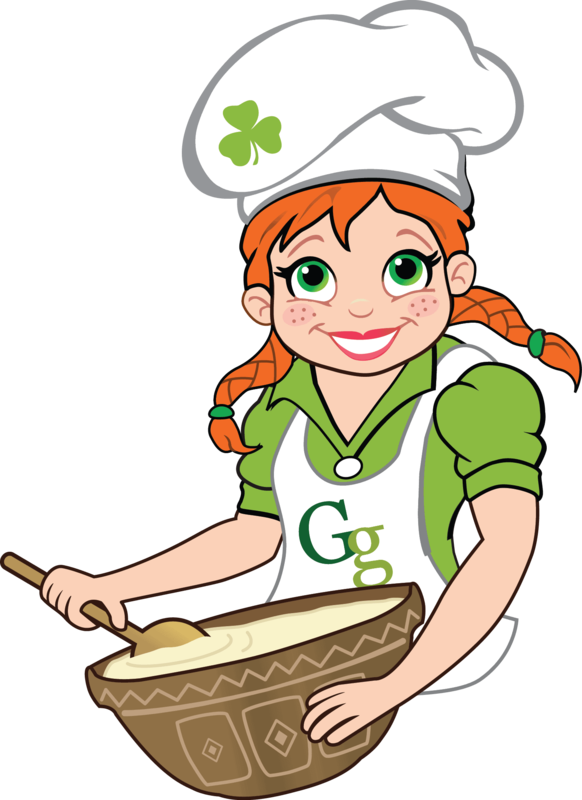 I promise I will continue to take you to Donegal through my blog posts. It’s hard to find words to describe the beauty of this county, often overlooked by overseas visitors. Many believe it is too far off the beaten track and a little out of the usual tourist way. But the folks over at Carrickfin Airport are helping to solve that dilemma. Donegal Airport is a vital hub and rural regional connector, helping the local community sustain and develop their economies. 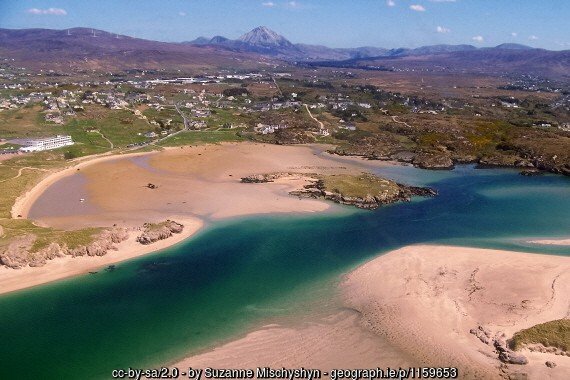 The airport’s management team’s goals are to attract new businesses to the area and to entice overseas and Irish visitors to explore Donegal and the surrounding north westerly counties of Ireland. You don’t have to wander far from the airport to find sandy shores, and stunning landscapes. In Donegal, beauty is all around you. Trust me, it has to be seen to be believed. I would go as far as to say, Donegal may be one of the most breathtakingly beautiful corners, not only of Ireland, but of the whole wide world. Flights operate to Dublin, twice daily and a Glasgow service is also in operation. You can learn all about Donegal Airport on their excellent informative website. 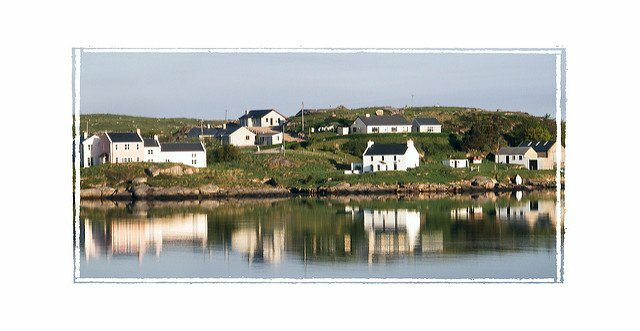 I love this photo above of Carrickfin. The reflection of the houses in the water is just lovely. And how about this wonderful shot by the same photographer, Liam Moloney? 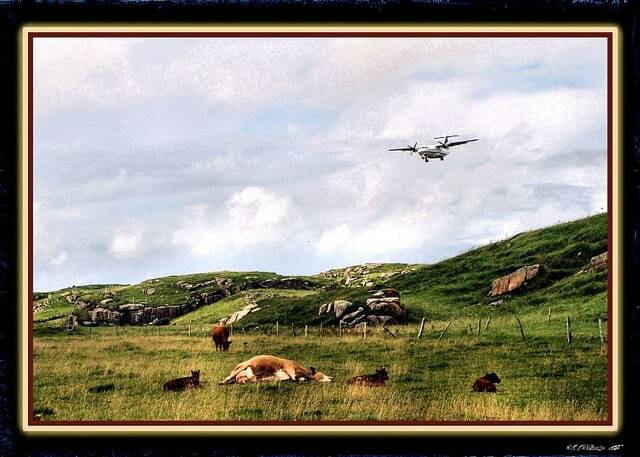 Mommy cow is just exhausted after a long day, and pays no heed to an incoming plane heading to Carrickfin. I wonder if those three calves are all hers. If so, as a mother of triplets, I empathize with her completely. 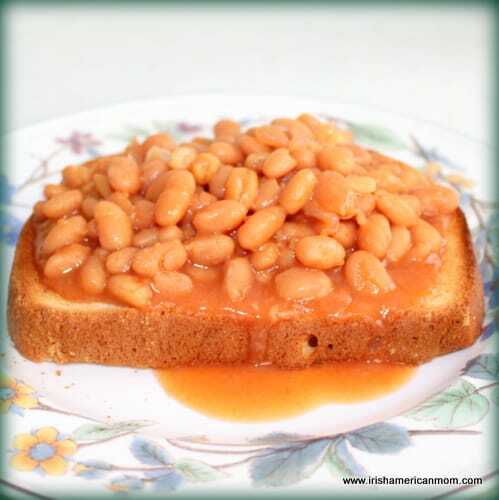 A big thank you to all the photographers who shared their work with a creative commons license allowing bloggers, like me, to use them to illustrate our writing. I truly appreciate your generosity. 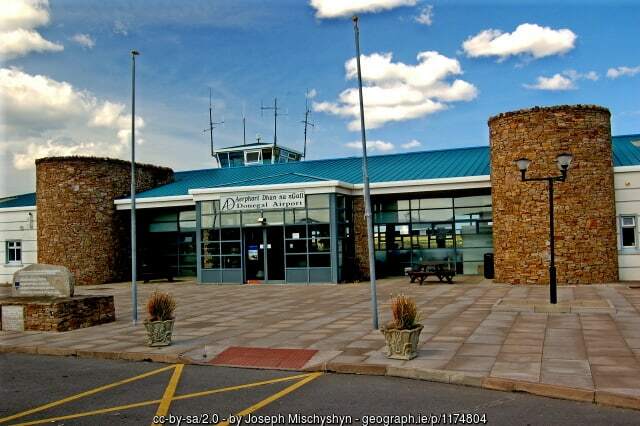 I hope you all enjoyed this little aerial tour of Donegal Airport, and a big thank you to the good folks at Take Off Magazine for letting me know of the commendations and accolades received by this lovely airport on Ireland’s northwesterly coast. 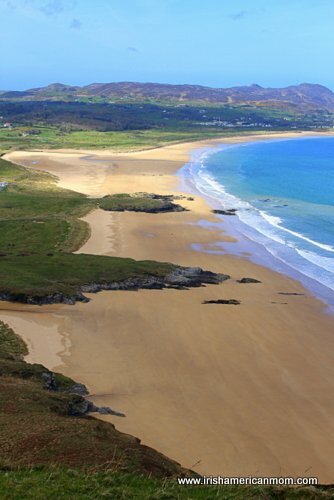 Ireland’s beaches are spectacular, and one of the most stunning of all is Knockalla Strand, also known as Portsalon Beach, in County Donegal. And so, as everyone head’s back to work on this Monday morning,I thought why not start the week off with some beautiful scenery. Hopefully, these peaceful views of Ireland’s shoreline will set the tone for the rest of your week. 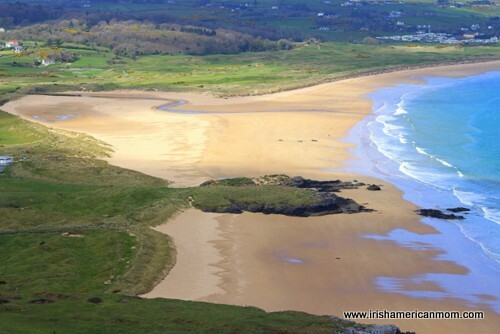 Ireland may be a small country, but as an island, she boasts a long and varied coastline. The actual length of this coastline is debatable, and any statistic for said length is totally dependent on how much detail was used when measuring. There may always be a hidden cove not traversed or measured. However, the Ordnance Survey of Ireland estimates the total length of Ireland’s shoreline at 3171 kilometers (approx 1981 miles). And Knockalla is no hidden cove. It is approached from an elevated cliff side road, with amazing viewing points along the way. 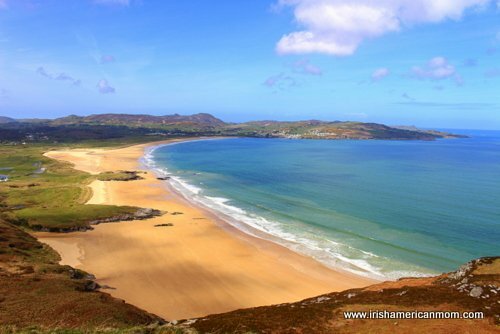 Donegal’s coast is festooned (I love that word) with sandy beaches, and Knockalla is probably the most breath taking of all. 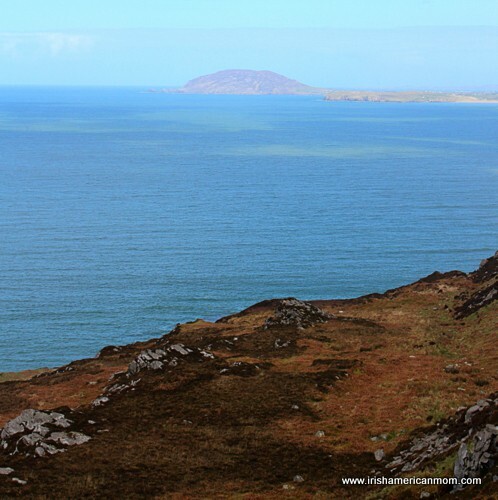 This is Ireland at its best – the Ireland made famous in poetry, song, legend and film. 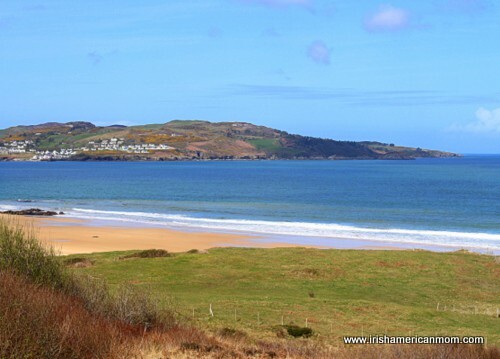 Knockalla lies on the western shores of Lough Swilly, with commanding views of the Inishowen peninsula across the waves. 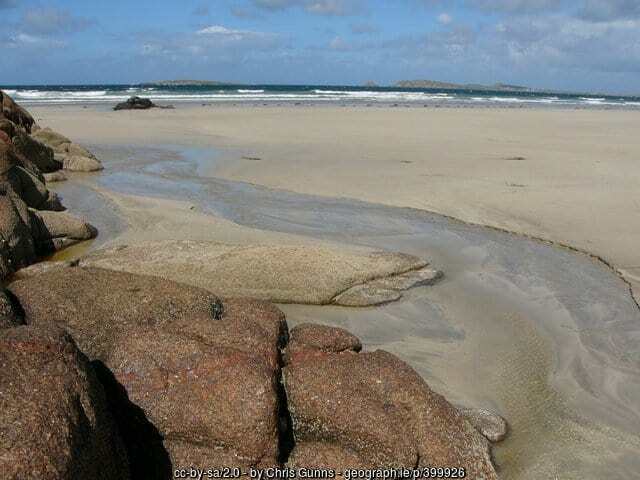 Beaches like this are why Ireland’s coastline is described as dramatic. 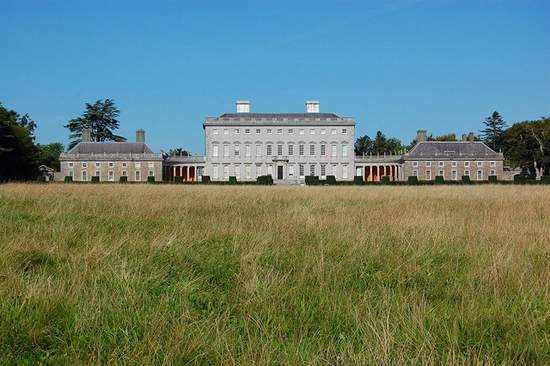 When designing Ireland, God spared no extravagance. 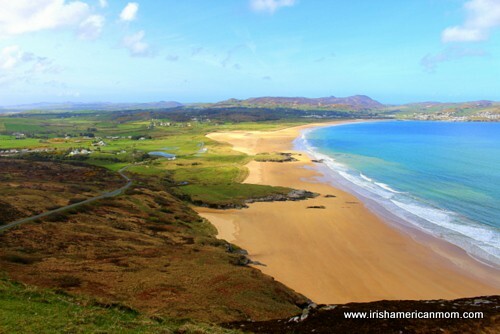 Donegal is an untamed landscape, with three-quarters of its borders formed by the Atlantic Ocean. The sea has shaped this land. This magnificent beach is a photographer’s paradise. 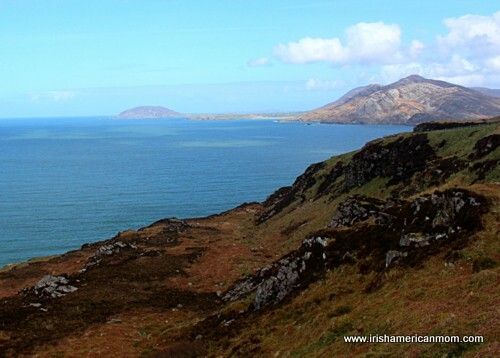 This is Ireland, at her best – a place of tranquility and great natural beauty. 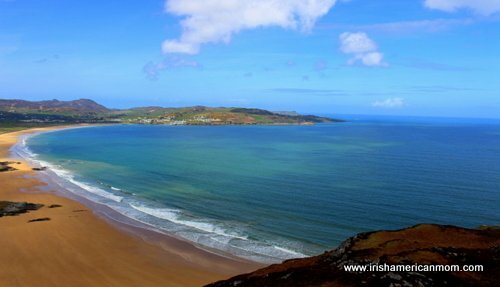 Portsalon was named the second most beautiful beach in the world by “The Guardian”, or maybe it was “The Observer” newspaper. I’m not quite sure who awarded this beach the runner-up prize in the world beach beauty pageant, but let’s face it, who cares. 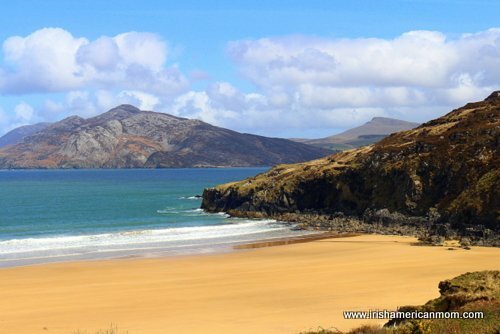 Portsalon’s beauty may be much appreciated around the world, but luckily, the Donegal climate means it can be enjoyed without having to deal with crowds similar to those found on sunny Mediterranean shores. Even on a cold winter’s day, a run on this beach is perfect for getting rid of excess energy, and clearing the cobwebs from the brain. 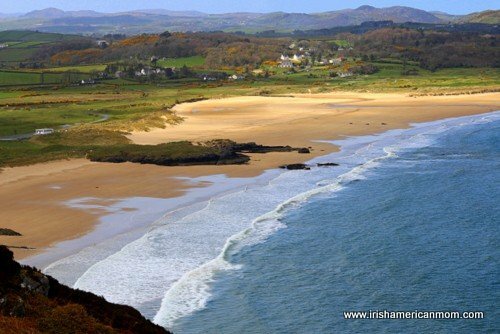 And so, to start my week off on a positive note, I am imagining myself going for a leisurely stroll along a sandy beach in Donegal. You’re welcome to join me on my mindful morning walk. For me, the wind is blowing a soft gentle mist across my face, cleansing my spirit and strengthening me for a busy week ahead. 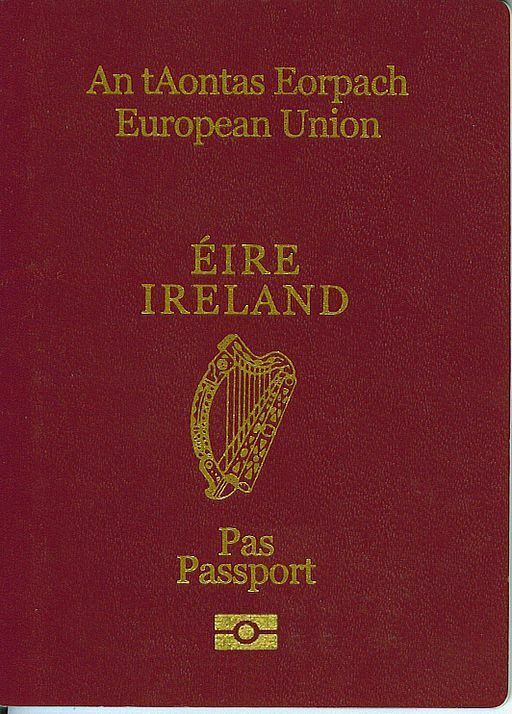 Stiff breezes feature in all my Irish imaginings – I wonder why? Wishing you all a wonderful week, full of promise and accomplishments. 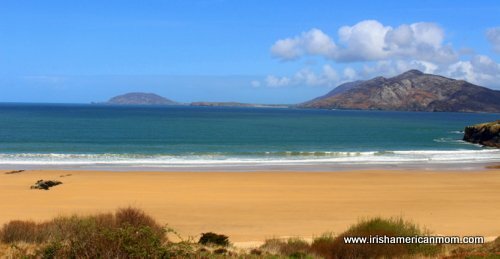 I hope this little tour of Knockalla Strand has stirred your Irish dreams, and lifted your spirits on this Monday morning. Remember, ocean blues are the only Monday morning blues allowed in my little corner of the web.